And darkness was upon the land. All that was, was no more. The land lay wasted in ruins. No words were spoken. No songs were sung. Music was in a state of chaos. Its direction unknown. But one day, in the forest and through the trees, a voice came calling. Calling from above. Calling for “The Awakening”. The wind carried the voice throughout the land in hopes that it would be heard. When all had seem to fail, there stirred a movement in the ashes. And from the ashes arose a strong and powerful group of musicians called “Worhol”. An era of music that would be expressed in the creation of multiple personalities. The rebirth of the long lost heart filled lyrics. The memory of mesmerizing melodies. The rhythms of thunder in the night. Arise to “The Awakening”. Listen to its voice. An army of chosen ones who would bring forth to the land a new and inspirational voice in music. Thou shall be Awakened! ‍‍‍"When you hear people speak about Worhol you will hear many things. Words usually associated with the band are, talented, incredible and amazing. More often you will hear Worhol described as "Destined", "Next Big Thing" or "Soon To Be Signed" No matter what you hear one thing rings true, Worhol is extremely talented with a sound and live performance that puts them shoulder to shoulder with some of the biggest bands in the world. 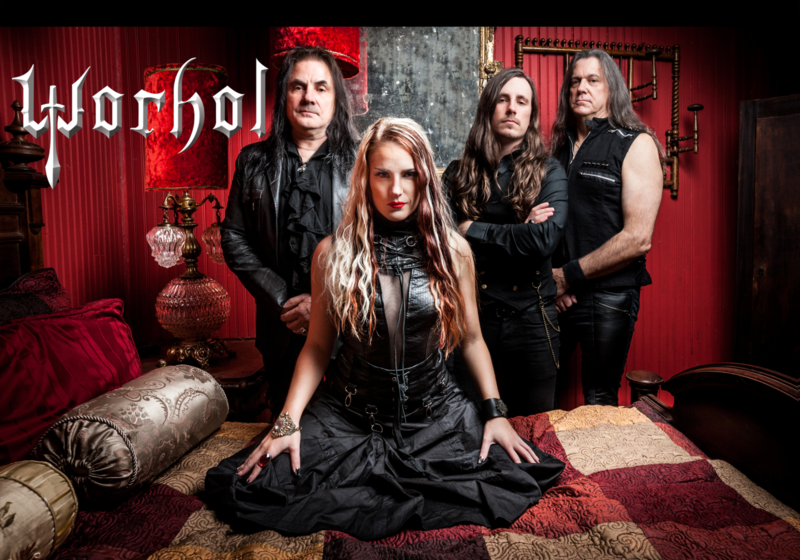 Fans of Nightwish, Evanescence and Within Temtation will all feel at home with Worhol, but prepare yourselves because Worhol raises the bar. Ashleys vocals backed by the band have her poised to become one of the biggest female singers in her genre on a global scale. Worhol is without a doubt destined for greatness! Recently we where able to sit down with this very busy band and find out what makes them tick and what they have instore for everyone." 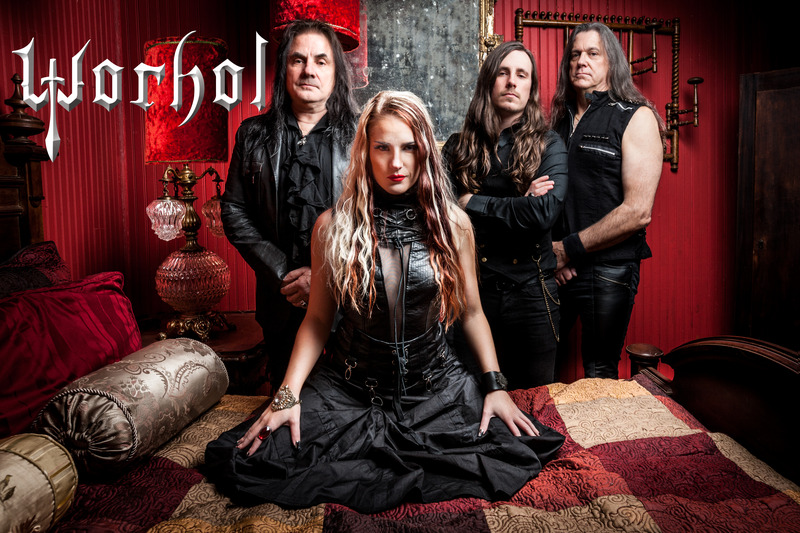 Shows of symphonic rock group Worhol are a visual feast, complete with theatrical stage props and opulent clothing - they put the show back into rock show, and we are honored they chose to use some of our clothes to create the dark and majestic look they have on stage." "The Voice of an angel with the sound of Rock. The music provided is that of going to an opera house and seeing a play. The work of Craig on Bass and Larry on guitar is right on target with the symphonic rock of great acts like “Dream Theater”. As you listen to the work of both of these gentlemen you cannot help but to compare them to Dream Theater, the melodic sounds they provide beg you to want them to play more. 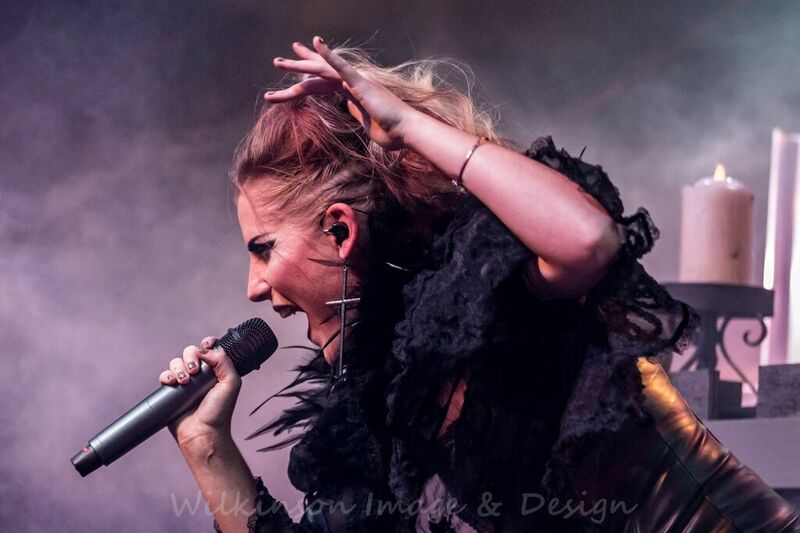 Then to the focal point….Ashley herself, not many words can provide what she brings to the stage. A comparison was made to Sarah Brightman……which is dead on, her vocal range combined with the piano work and bass and guitar work behind her also could take to the comparison path of Evanescence. 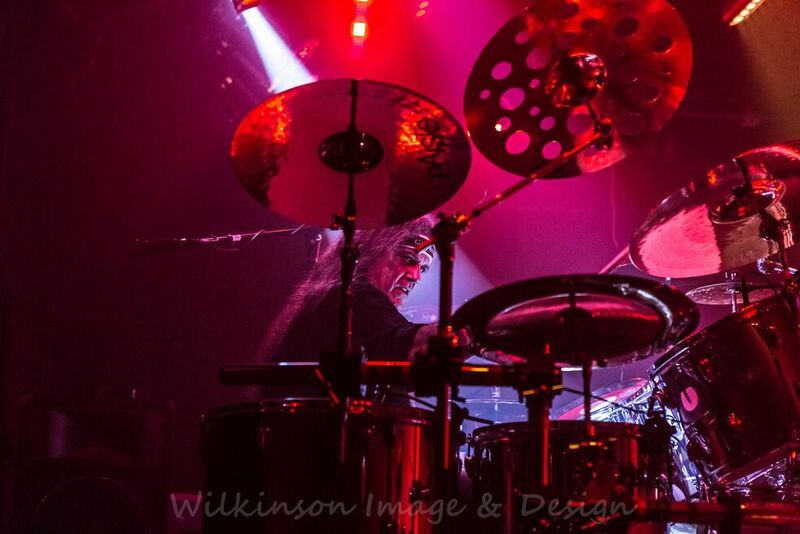 Although most bands would not like comparisons, this bands comparisons are that of some top notch performer’s, and nonetheless Worhol is in that same category. I say be on the lookout for them as they take stages across not just the US, but the world. There will be no disappointment, there will just be a world class show featuring some of the best performer’s that Texas has to provide."